It’s April! It’s April! It’s April!! My crocuses are coming up in the garden, and though Easter came early this year, I’m looking forward to wonderfully balmy weather, birdsong in the morning, and soft shell crabs. I also have the pleasure of celebrating some real terrific birthdays: Angela and Marc (my daughter and son) in the very first week, my beautiful friend Violette on the 12th, the glorious Miguelina on the 25th and the ever fabulous Jennifer on the 30th! Can anyone say “Paaaaarrrrtaaaaaay“!?! But parties aside, things are likely to get exciting in my kitchen this time of year, because of all the treats that are available this season, like fava beans, tender pea shoots, shad roe, morels, fiddleheads… I can go on and on! In fact, I passed on a traditional Easter menu this year, and opted instead to have a traditional Argentine Asado, with a grill that featured grilled chorizos (hot and sweet), morcilla, and tiradito, the traditional Argentine cut of shortribs for the grill. I even made mollejas, veal sweetbreads, which I blanched, pressed, and dusted with flour before pan frying them with buerre noisette, lemon and capers (whew, boy!). We made choripans with the spicy chorizo which I dressed with a spicy avosalsa that literally brought tears to our eyes (I used two whole jalapenos)and to that meat mania I added a big green salad, a potato and green bean salad, and poached asparagus with truffle oil and fresh manchego cheese. I’d like to say that I managed to get pictures, but with all that meat and all my boys home from school for Easter, well, let’s just say, fat chance! Angela even made a carrot cake with cream cheese icing! It was really lovely. I promise to get pics of our very next asado! With the gorgeous exhibit of floral rebirth evident all around the neighborhood (ahhh forsythia! 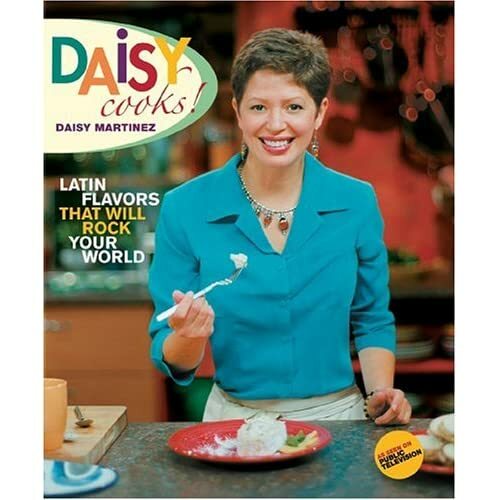 ), I am staring to get blisteringly excited about all the projects that are coming up “Daisy” in the very near future. 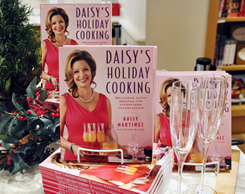 One event that I am incredibly excited about is the Whitehead Light Station Cooks With Daisy! Imagine spending almost a week, enjoying beautiful coastal Maine, while learning basic learning techniques from me! We will spend three days prepping, designing, and executing meals from around the world, and, then sitting to share them around a common table. Everybody always tells me how he or she would give anything to cook with me, so here is a great opportunity! See you there! Whitehead Light Station on Whitehead Island, Penobscot Bay, Maine. Migui’s Birthday celebration last year! Our Second Annual Spoons Across America Dinner Party will take place this year on April 14th, 2008, and I am very confident that the children will be effectively able to execute their Dinner Party Project, as elegantly as the class this year. Sponsored by The James Beard Foundation, this project encourages this class of 7th graders at Mark Twain Intermediate School to plan and perform a very formal dinner party, complete with linen clothes, invitations and RSVP’s, in short everything one would expect for a formal dinner party. I also have a very important birthday comin’ up in May, when I will be pulling out all the stops, and so I am very much in the midst of planning this soiree. I will be taking lots of pictures, and maybe some videos to share with you all. I’ve chosen a cozy little Italian influenced restaurant right here in Brooklyn, and will be surrounded by family and friends to help me celebrate (at least it will keep me out of the kitchen!). Feel free to send your birthday wishes! I am going to recommend a light delicious Garlic Soup, to ward off the last, lingering chills of winter, and maybe serve them with Pork Picadillo filled Sweet Plantain Canoes, and a piece of Poached Papaya (Dulce de Papaya), served with a little bit of Queso Fresco for dessert. A little cozy, a little sweet, and a little peek at the wonderfulness that is the Spring to come!